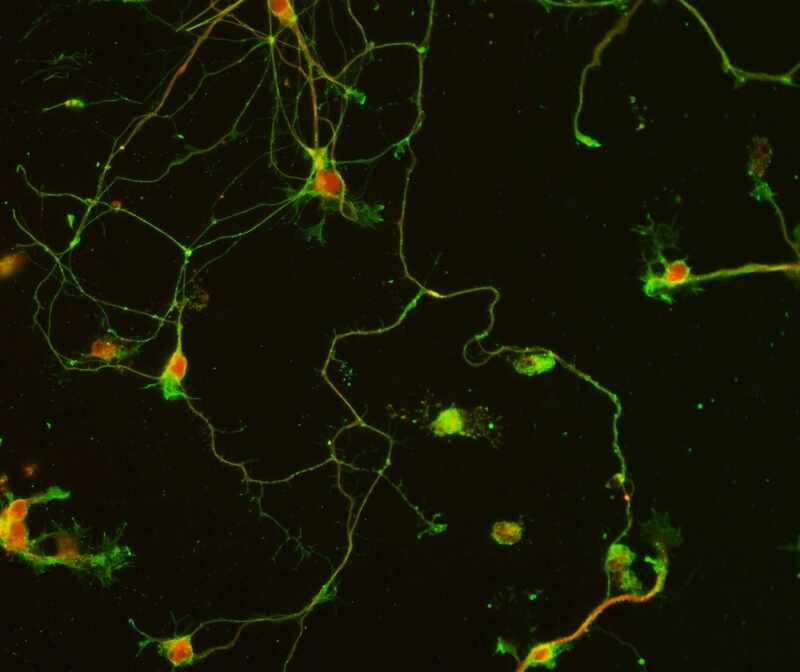 Researchers at Mayo Clinic and the University of Minnesota have successfully used a single dose of a natural human antibody to delay degeneration of spinal cord neurons in two distinct mouse models of amyotrophic lateral sclerosis (ALS or Lou Gehrig’s disease). The study, published in Disease Models & Mechanisms, suggests new possible therapies for patients with ALS, the authors say. ALS affects more than 30,000 Americans, according to the ALS Association. The condition attacks motor neuron cells in the brain and spinal cord that control voluntary muscle activity like moving, speaking, breathing and swallowing. These cells degenerate and gradually die, causing progressive loss of muscle movement and eventual death from respiratory failure. There is no cure for ALS, so current treatments focus on slowing the development of symptoms and preventing unnecessary complications. In the study, the researchers looked at a natural human monoclonal antibody similar to one that has been shown to slow multiple sclerosis, another neurodegenerative disease, in mice. The monoclonal human antibody, known as rHIgM12, binds to the surface of neurons and promotes robust process outgrowth, which may lead to the protection of neurons. The investigators tested the effects of rHIgM12 in two genetic-based models of human ALS in mice. In both mouse models, a single dose of antibody prolonged survival, delayed the onset of neuron degeneration and weight loss, and preserved spinal cord axons and anterior horn neurons. According to the authors, the antibody’s effectiveness in multiple mouse models of neurodegenerative disease implies a broad ability to protect neurons — a key criterion in screening potential drugs for clinical trials in humans. The next step is to seek funding for a phase 1 clinical trial to obtain safety data in humans, says Dr. Rodriguez. Sang-Hyun Oh, Ph.D., University of Minnesota. The study was supported by grants from the National Institutes of Health (R01 GM092993, R01 NS048357 and R21 NS073684); the National Science Foundation Faculty Early Career Development Program Award; the Minnesota Partnership Award for Biotechnology and Medical Genomics, a research collaboration of Mayo Clinic and the University of Minnesota; the National Multiple Sclerosis Society (CA1060A); and the Mayo Clinic Center for Clinical and Translational Science. Study guidance was provided by the nonprofit Prize 4 Life. I like what’s being done here.